If you've entered a value in the Cost field, we'll instantly show you your profit based on the listing's current landed price and what your profit would be based on your min/max prices. You'll see the values change instantly as you type. 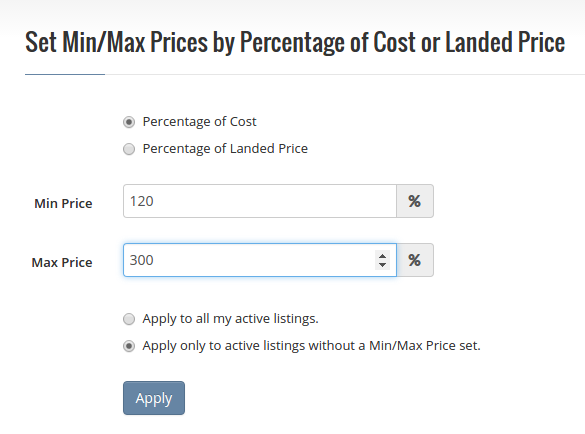 Another benefit of entering your cost is the ability to set min/max prices in bulk by a percentage of them. 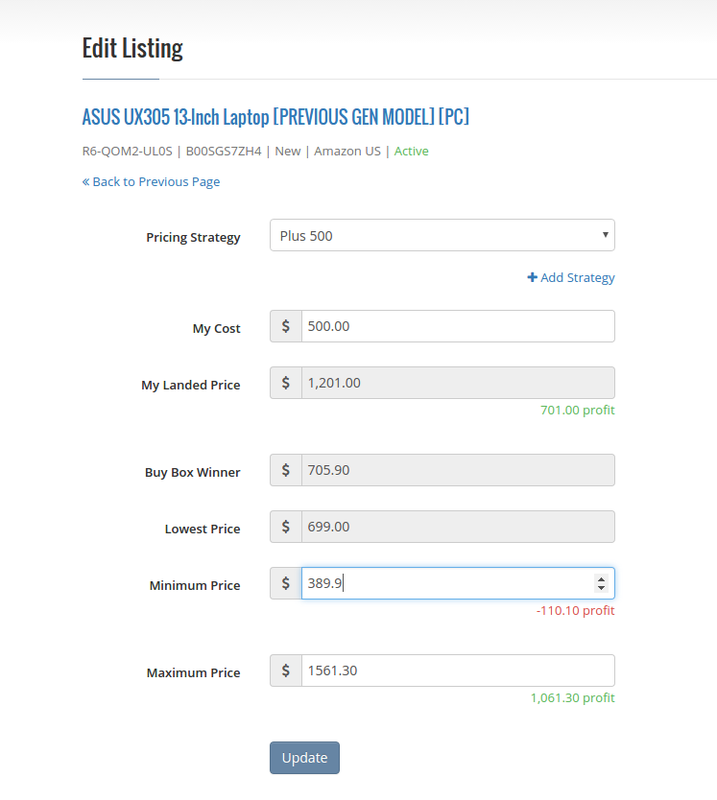 You don't need to enter a cost to all your listings to use this feature, only those listings that have a cost will be updated. Hope you guys find these new features useful. If you have other feature suggestions please feel free to leave a comment below or contact us anytime!